(http://www.nobelprize.org/nobel_prizes/medicine/laureates/2014/press.html). In 1971, John O'Keefe discovered the first component of this positioning system in the area of the brain called the hippocampus. Three decades later, in 2005, May-Britt and Edvard Moser discovered another key component of the brain's positioning system, the "grid cells" in the entorhinal cortex (EC: ento = interior, rhino = nose, entorhinal = interior to the rhinal sulcus). EC is an area of the brain located in the medial temporal lobe and functioning as a hub in a widespread network for memory and navigation. Such neurons generate a coordinate system by dividing the image of environment in longitude and latitude. The system allows for precise positioning and pathfinding. Therefore, neurons process general information such as directional activity in the environment, which contrasts to that of the hippocampal neurons, which usually encode information about specific places. This suggests that EC encodes general properties about current contexts that are then used by hippocampus to create unique representations from combinations of these properties (http://www.nature.com/news/neuroscience-brains-of-norway-1.16079 ). ROBOETHICS and MACHINE ETHICS. A new world of dilemmas, especially legal dilemmas, is opening for humans involved in programming robots, but also ethics for robots as Artificial Moral Agent (AMA). What happens, for example, if a robot provokes defamatory statements? What happens if children enjoyed spending time with android and a majority believed it is intelligent and has feelings? Moreover, if someone manipulates someone else in the interest of the job-company, for example getting someone really invested with a virtual girlfriend and then getting the user to buy things for her? However, robots could be also programmed to alert police if they witness their owner commit a crime or to help who assists ill people in difficult conditions. Surely, an ethics should be studied and established. 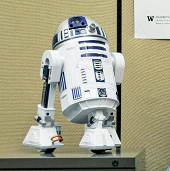 Academic courses in Roboethics somewhere exist yet. Our future will be full of robots and androids and scientists and philosophers should study every possible perspective, resource and problems http://www.sciencemag.org/content/346/6206/180.full.pdf. Two other interesting news from cosmology attest the vitality of the Universe: on one hand Alma (Cile), Atacama Large Millimeter Array, the actual world’s most powerful radio telescope that should observe the Sagittarius A*’s “shadow” (a radiowaves soured in the center of the Milk Way). General Relativity, indeed, predicted this phenomenon. Specifically, Alma captured the birth of a planetary system in the Star HL Tauri. On the other hand, the scientists suppose the existence of a black-hole inside the Milky Way that is “eating” stars. Among the different hypotheses advanced for supporting this theory, one of the most intriguing is that the “dark matter, should be densest at the cores of galaxies, where it should congregate under the force of its own gravity, so to produce a “black-hole” phenomenon. Interesting data for clarifying the nature of the dark matter are available in: (http://www.scientificamerican.com/article/dark-matter-black-holes-destroying-pulsars/). PHYLOGENOMICS. The tree of life of the insects is depicted!. An international team from USA, and China used phylo-genomic analysis for producing robust results, in order to resolve controversial phylogenetic relationships among different groups of insect. The main results are that insects originated approximately at the same time of the land plants, in the beginning of the Ordovician period (479 million years ago). Earth insects and plants were the first terrestrial ecosystems, coupled with insects that, some tens of million years afterward, developed wings, so to fly about 406 million years ago. Thus, insects were the first animal species to master flight, and to establish social groups. Analyzing more than 144 species and around 1478 proteins, more than 2.5 giga-bases of coding DNA have been sequenced, and 413.459 amino-acid sites, divided into 479 meta-partitions, were defined: a big quantity of data for the computer scientists, with the final result of having an estimate of the species origins, by individuating shared sequences of coding DNA (http://www.21secolo.eu/gli-insetti-nati-insieme-alle-piante/). PROTEOMICS. The mapping of human proteome – i.e., the taxonomy of the proteins generation mechanisms, as far as driven by different, and sometimes superposing, coding fragments of the human DNA – is the next step after the mapping of human genome. The task is almost done for about the 80%, and probably within 2015 it will be complete. This is another fundamental step for making genetics and biology “hard” sciences, in the full Galilean sense of the term, so to subtract them from ideological speculations (http://www.proteinatlas.org/). EVOLUTIONARY THEORY. Ten years the discovery dates of Homo Floresiensis, a small relative of modern humans of 18,000 years ago. Called ‘Hobbit’, is now considered the most important hominid fossil in a generation. His very small body discovered in the highlands of Flores in Indonesia would attest the passage of people from mainland Asia to Australia. However, the Evolutionary puzzle remains, because according to some scientists the Hobbit’s skeleton does not represent its own species. It should be simply the relics of a diseased modern human; even it could be the skeleton of a modern human child, or of a man with Down’s syndrome. (http://www.nature.com/news/the-discovery-of-homo-floresiensis-tales-of-the-hobbit-1.16197; http://www.smithsonianmag.com/science-nature/ten-years-flores-hobbit-human-evolution-fossil-puzzle-180953108/?no-ist ). The neuroscience discoveries of John O'Keefe, May-Britt Moser and Edvard Moser help us to understand how we, as persons, i.e., as living bodies interacting with our physical and human environment, are able to know where we are, and to navigate from one place to another. 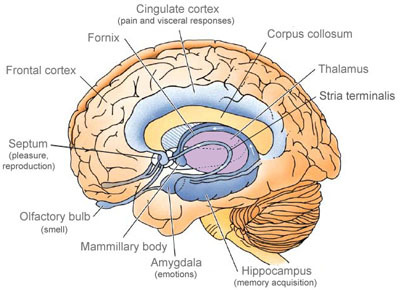 This ability depends on particular deep structures of our brains, the hippocampus and EC, strictly related, on one side with the sensory and motor cortices, on the other one, with emotional centers such as amigdala, very close to these structures. Our environment perception indeed is always strictly related with purposeful and hence “intentional” behaviors, as particularly Rizzolatti’s group findings on “mirror neurons” emphasized. An immediate and important consequence of such discovery is a better explanation of why Alzheimer's disease patients cannot recognize their surroundings: defeats in EC are evident. Another aspect is important for philosophy: now we have other new neurological data for better understanding how we, through our brains, interact with the environment, an interaction always purpose-directed and hence “meaningful” for us. Understanding the relationship between perception and meanings, through the understanding of the brain dynamics underlying the intentional processes on which meanings depend, is an essential topic for philosophy of mind and for cognitive neuroscience since tens of years. Because motor behavior is an essential component of intentionality in humans and animals, and because intentional processes depend on a dynamic interaction, between limbic system and sensory and motor cortices, the discovery of the position system in the hippocampus and in the EC (both key-structures, like amygdale and cingulate cortex, of the limbic system) of mammals, constitutes a fundamental piece for understanding the brain dynamics, underlying the intentional processes of animal individuals and of human persons. Follow a lecture on these topics by Edvard Moser: https://www.youtube.com/watch?v=CfZUswHlGXo. 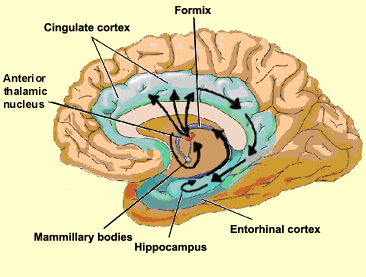 EC and hippocampus (center) are connected not only with sensory and motor cortices on the brain surface (left), but are strictly and immediately “networked” with cingulate cortex and with amygdale in the deep part of the brain (right), on which feeling of pain and of emotions, respectively, depend, so to emphasize that spatial orientation is related not only with sensory data, but overall with motivational data. This discovery opens also to the possibility of developing more autonomous robots: the basic research is, indeed, in the field of neuroscience, but the developments are in medicine, on one side, and in robotics and artificial intelligence, on the other side. In this case, the logical and computational architecture of the human brain can indeed be imitated by humanoid robots, with the ability of localization and self-localization in space, related to goal-pursuits, similar to humans. All this emphasizes that ethical issues, related to the development of artificial autonomous systems, require a deeper reflection. Because in the present and in the very near future such systems are able to simulate increasingly human behavior, also in semantic and purpose- related tasks (“third-person intentionality”, like when we imitate successfully a behavior of other people, without understanding “in first person”, by ourselves, its meaning), this can help certainly our life, before all because the complexity of our society requires necessarily the development of such devices. Nevertheless, it also determines evident risks to be avoided. 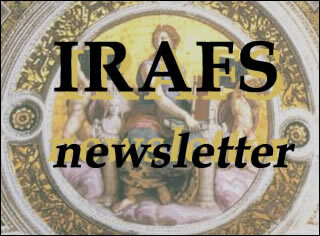 In other terms, it is every day more urgent the implementation of (simulation of) ethical behaviors and of ethical choice criteria in artificial autonomous systems, on one side, and, on the other side, the definition of public, and transparent criteria and rules of control, for the design, the development, and the usage of such devices. 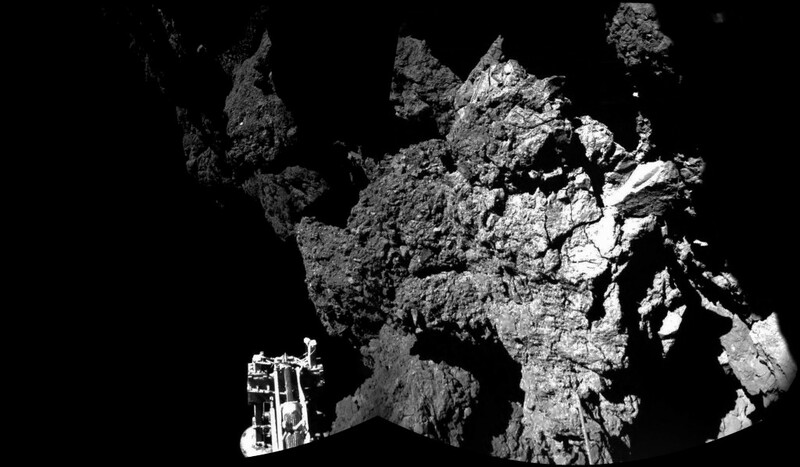 In a certain sense and from another point of view, Rosetta mission is a great testimony of the integration of robots in our scientific experience. In this way the space exploration will attract more and more data on which to build theories, again really in a Galilean sense. Finally, the most recent results of genetics and proteomics illustrated in this newsletter hopefully open the way toward a rigorous methodology for mapping living species, and, in the case of human proteome mapping, for making another step in the long way for passing from the genotype to the phenotype. Both, however, are important pieces for developing a “less philosophical” and “more scientific” theory of evolution. Particularly, the development of a human proteome map is a fundamental step for understanding the origins and the care of genetic diseases, given that our medicine, at the moment, is essentially based on the individuation of chemical remedies (molecules) to introduce in the organism, waiting for more efficient and complementary methods. They are based, on the study and on the direct control of the field dynamics of biological matter, at different levels of its self-organization, given that the ultimate effect of any chemical substance introduced in the organism is an alteration of such a field dynamics, necessarily not so specific and well targeted – despite the continuous progress in this direction –, as it would be required. Such a specificity could be obtained, in principle with an absolute precision, by using signals modulated according to the same frequency/amplitude of the targeted cell/molecule, given that every component of matter “vibrates” with a specific frequency, so to produce, in the case of biological matter an electromagnetic field (biophotons). 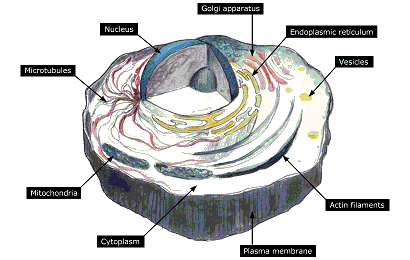 The different parts of a living cell. 2015, YEAR OF LIGHT. “On 20 December 2013, The United Nations (UN) General Assembly 68th Session proclaimed 2015 as the International Year of Light and Light-based Technologies (IYL 2015). The United Nations has recognized the importance of raising global awareness about how light-based technologies promote sustainable development and provide solutions to global challenges in energy, education, agriculture and health” (http://www.light2015.org/Home/About.html ).